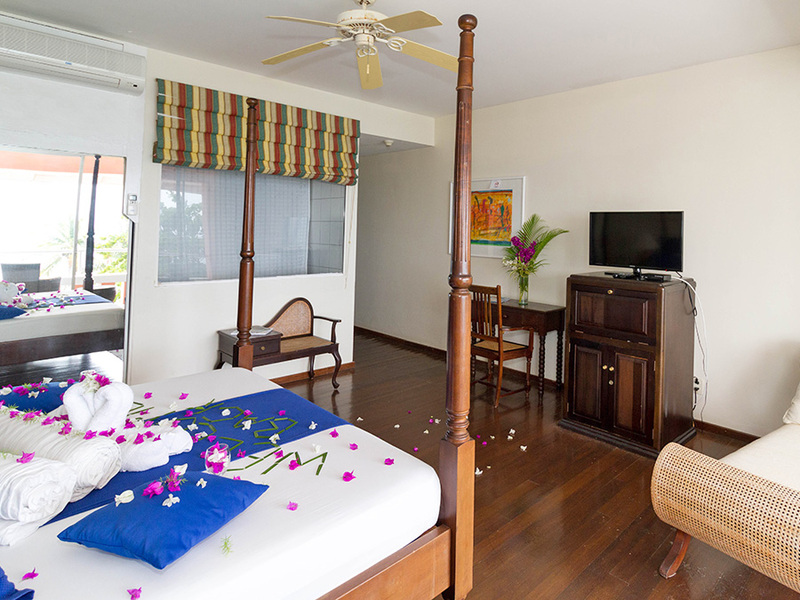 Our Superior rooms are fully airconditioned and offer comfortable luxury holiday accommodation. 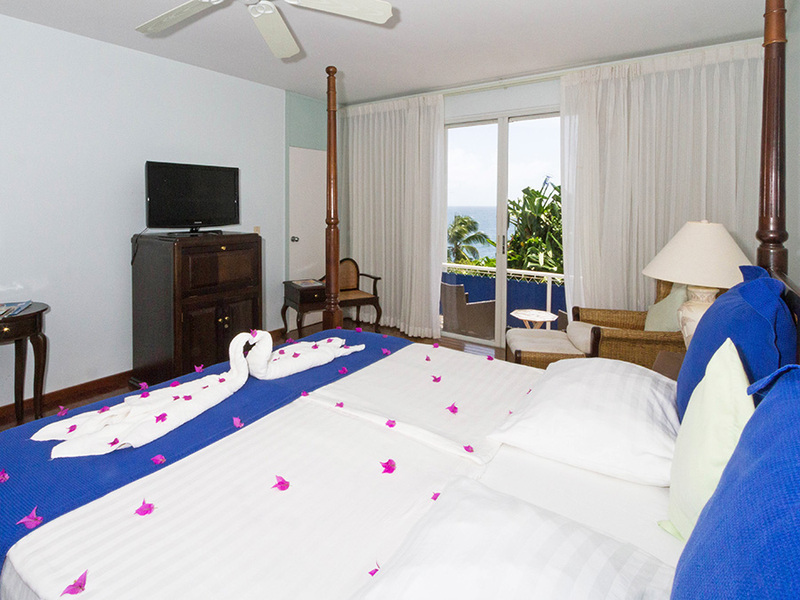 All rooms have a private balcony and spectacular sea views. 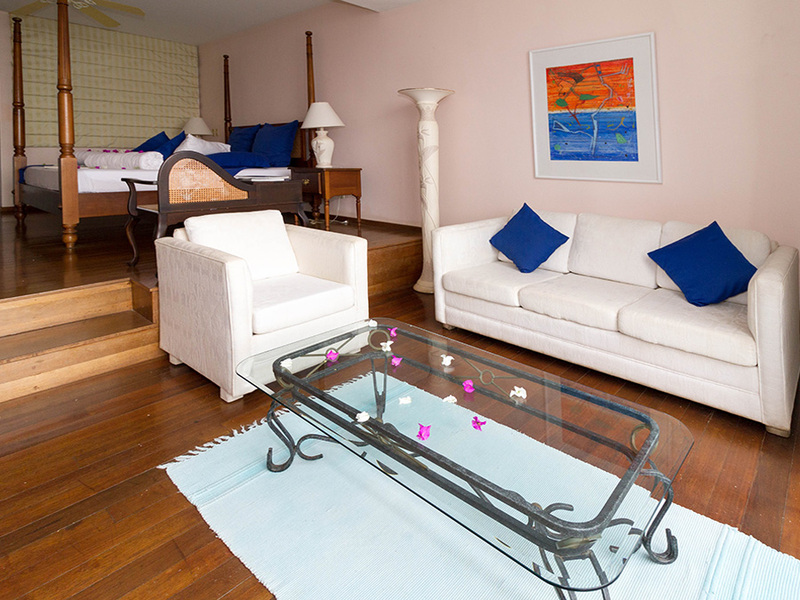 Our Deluxe rooms are a little more spacious, but otherwise offer all the features of the Superior rooms. Rates are in US Dollars per night and are subject to 10% government taxes and 10% service charge. 50% deposit is required on Confirmation. Cancellations, if any, should be made three weeks prior to arrival or 50% of the deposit (max. 3 nights) will be retained by Blue Haven Hotel.